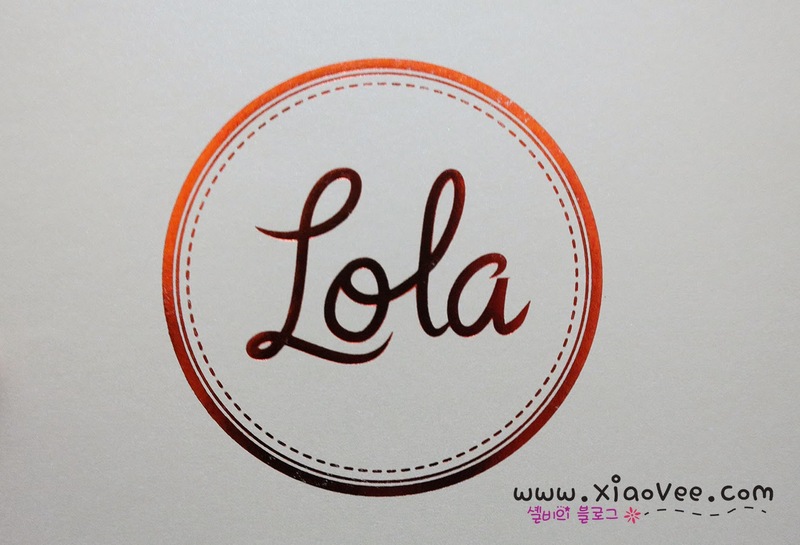 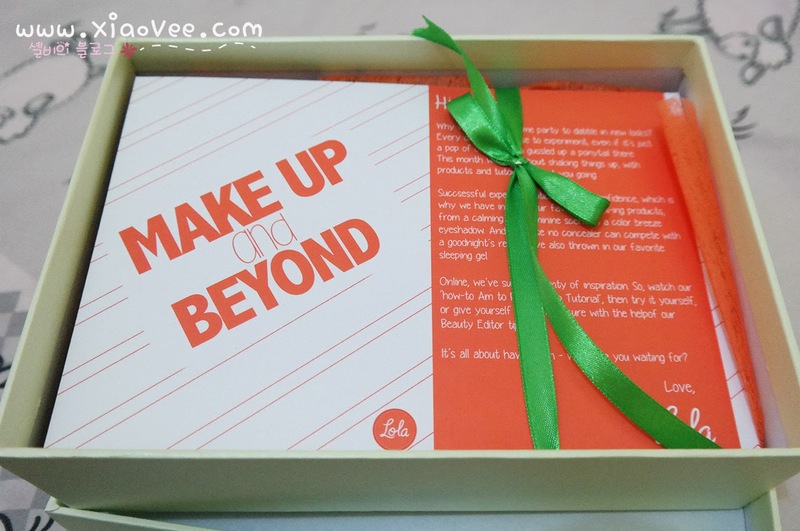 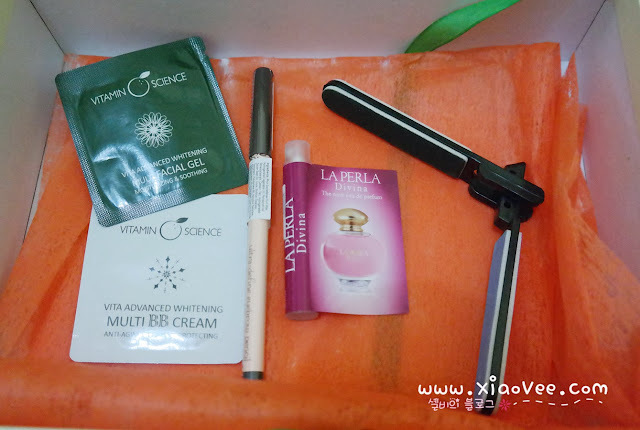 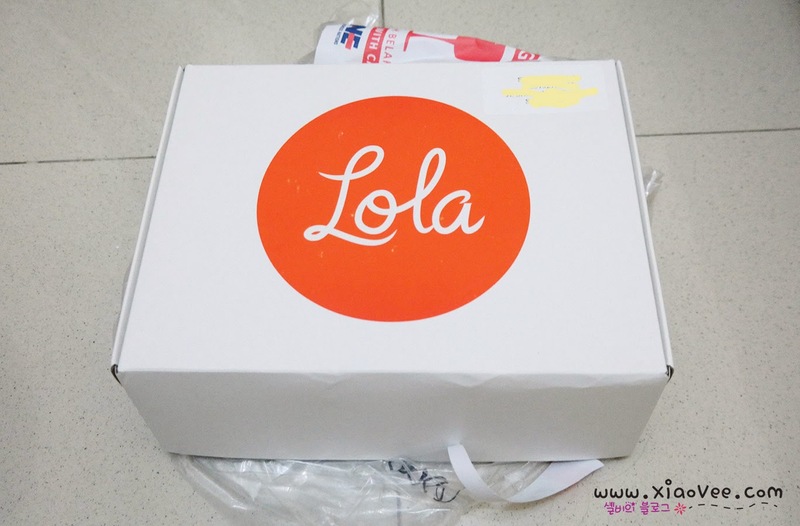 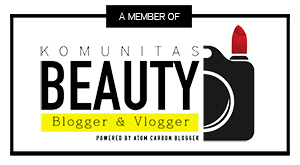 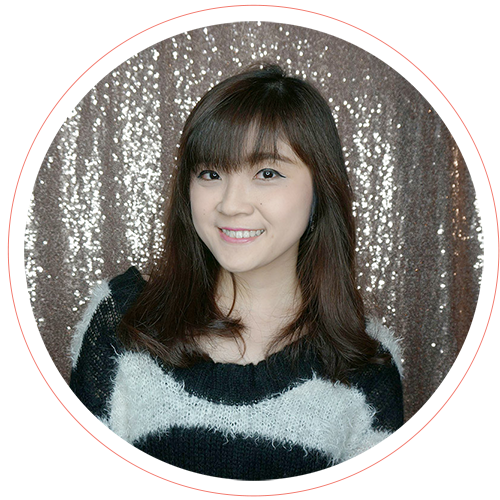 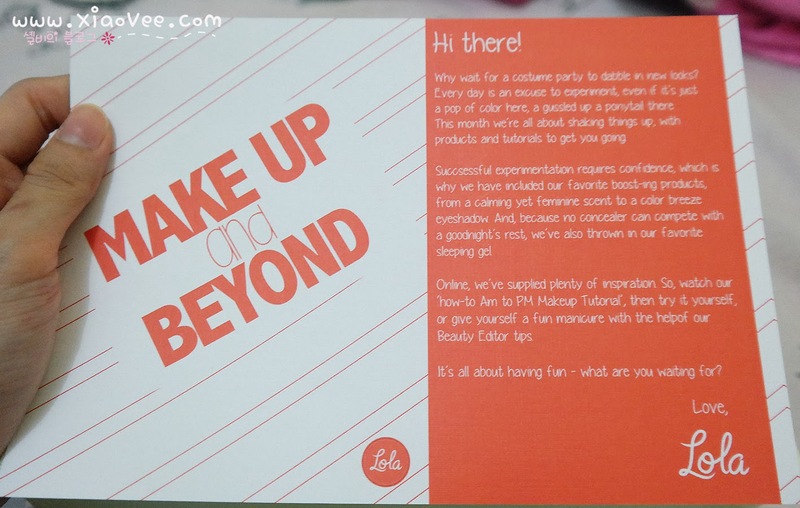 Xiao Vee: Indonesian Beauty Blogger: Lola Box October! 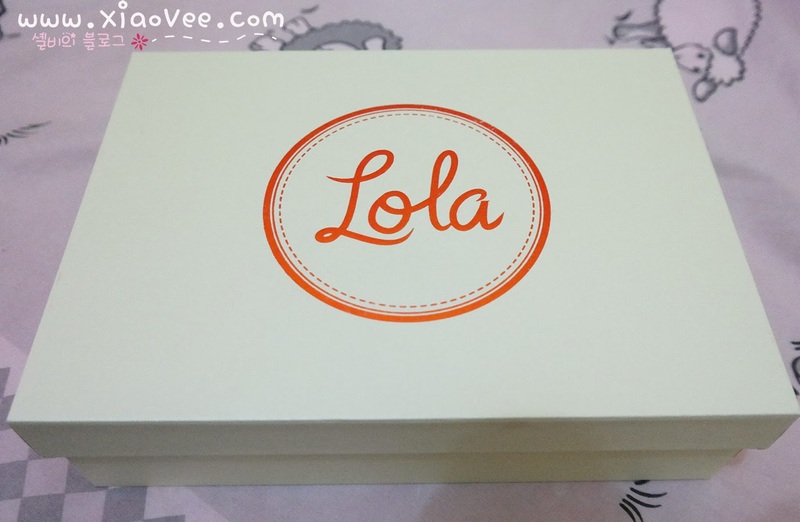 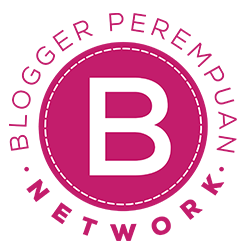 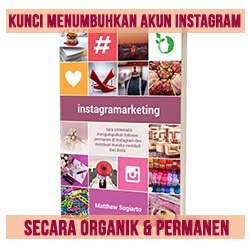 For those of you who doesn't know what is Lola Box, as far as I know Lola Box is 1st pioneer of Beauty Box trend in Indonesia :) I'm feel honored could unboxed Lola Box again, for this month. Started from outer packaging, mine is still comes in white box (ce Mindy got her box in carton box). 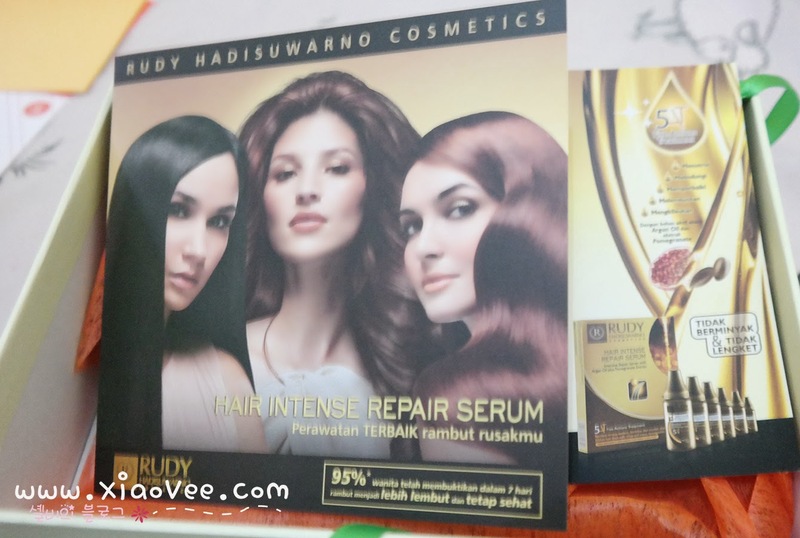 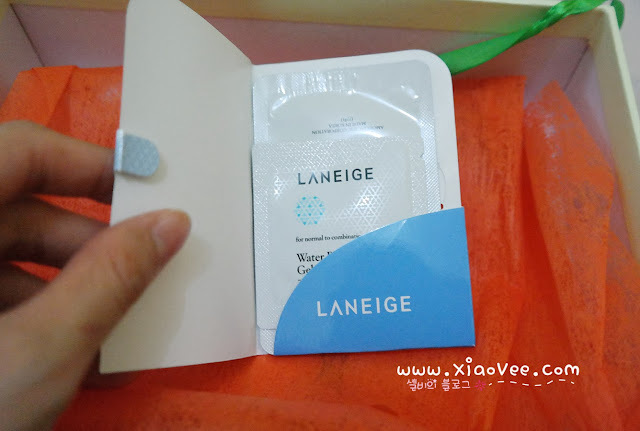 When I opened the outer box, I found Promotional Card of Laneige Indonesia. 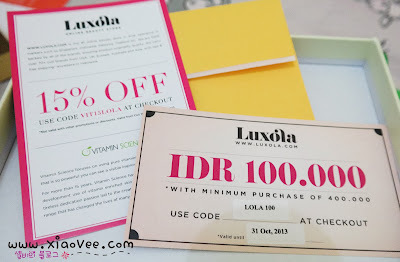 You can exchange this card to get more Laneige Trial Size (Laneige counters: SEIBU GI, Sogo Kota Kasablanka, SOGO PIM, SOGO MKG, SOGO CP), and this card is no use for me.. 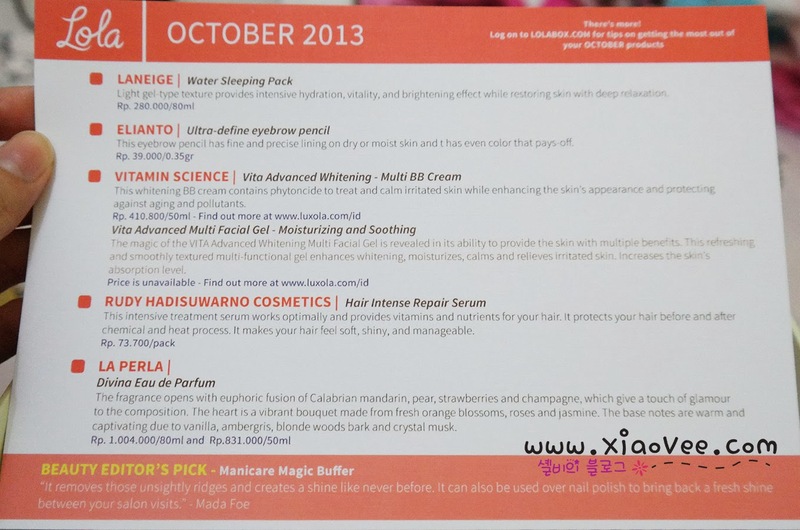 Since there's no Laneige counter in Surabaya ._. 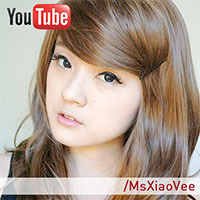 why my thumb looks so short here ._. 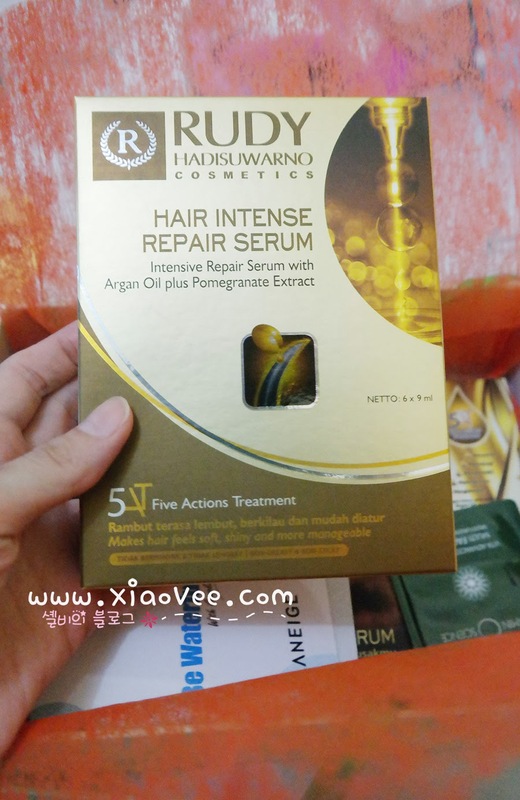 The Intensive treatment serum works optimally and provides vitamins and nutrients for your hair. It protects your hair before and after chemical and heat process. 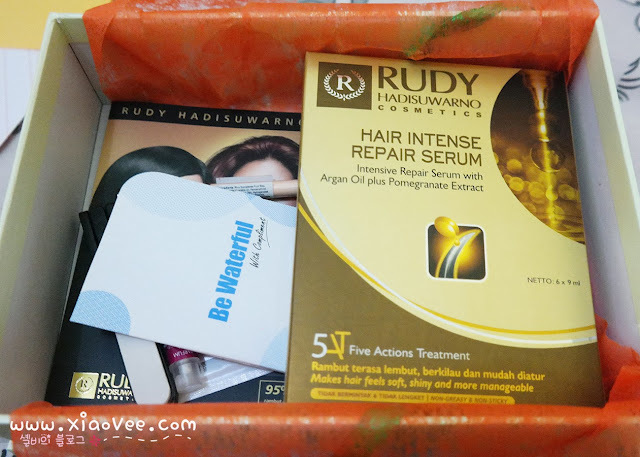 It makes your hair feel soft, shiny, and manageable.